Daily Slideshow: If you could pick just one, what would it be? Russell Mitchell and his company, Exile Cycles, have given so much to the world of custom motorcycles. 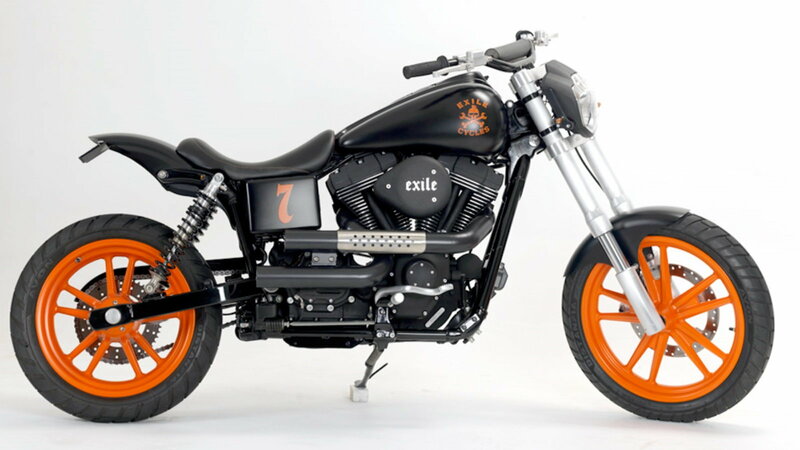 Not only are Exile's original bikes magnificent, but the customized Harley's they produce are also fantastic and we want to celebrate that. Let's kick things off with some style. 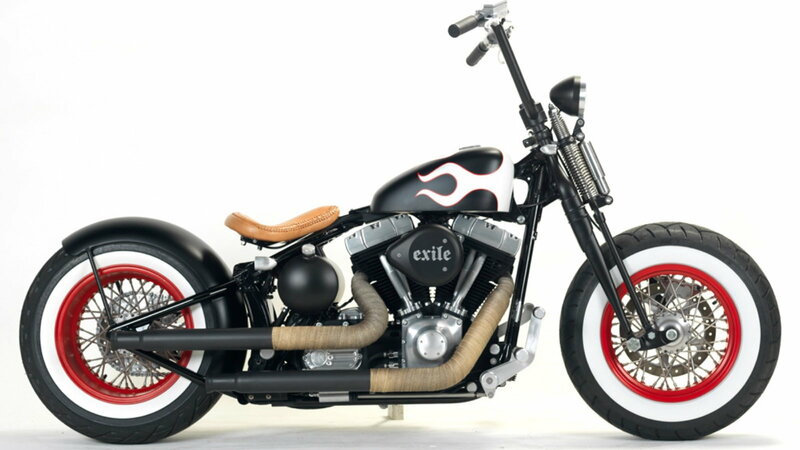 The Cross Bones Hot Rod is styled after Exile's own Hot Rod, which happens to be their most popular model. Although it looks like it's come straight from the 1950s, it has all the modern functionality of a 2008 Harley-Davidson Cross Bones. The Cross Bones Hot Rod has a fresh powder-coat, new upholstery, and some fabrication work on the pipes, fender, and front end. On top of this, it's loaded up with around $18,000 in parts from Exile's catalog. The Racy Rocker started life as a 2011 Harley-Davidson Rocker and shows how far Exile can take their Harley transformations. So much of the beauty in the Racy Rocker lies in its paintwork. Glossy red brake calipers perfectly contrast the satin black parts and gloss metallic charcoal powder-coat. The Racy Rocker also features around $18,000 worth of Exile parts. Could you behave yourself on this? 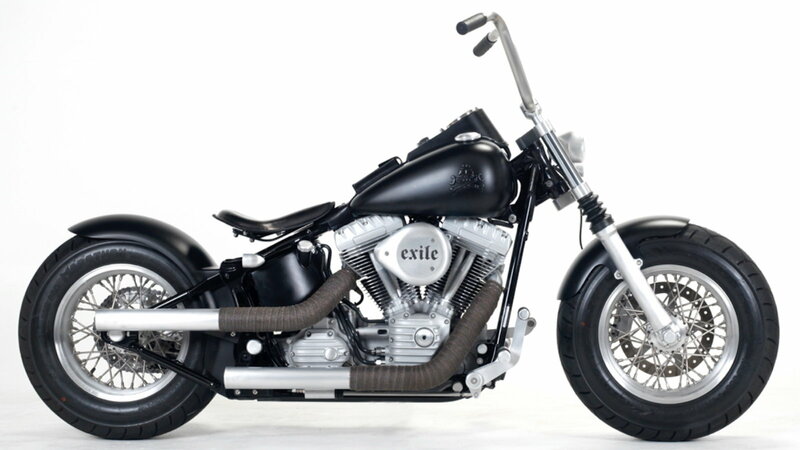 >>Join the conversation about these Exile Cycles custom Harley bikes right here in Harley-Davidson Forum! The Supermoto Street Bob is one for the hooligans out there. It's based on a 2006 Harley-Davidson Street Bob. Exile has added over-length suspension, an urban assault headlamp, a handlebar pad, and dual-sport tires. The Supermoto Street Bob has around $8,000 worth of Exile parts on it and certainly looks built for some serious fun. The Army Night Train, with its sleek battleship gray paint job, wouldn't look out of place on the open water. A 2005 Harley-Davidson Night Train is used as the basis for this bike. Apart from the removal of the fender horns from the frame, the Night Train remains largely unchanged, it just gains a wide array of bolt-on accessories. Exile have put around $15,000 worth of parts on the Army Night Train. To top it all off, it's finished with a glorious paint job and powder coating. 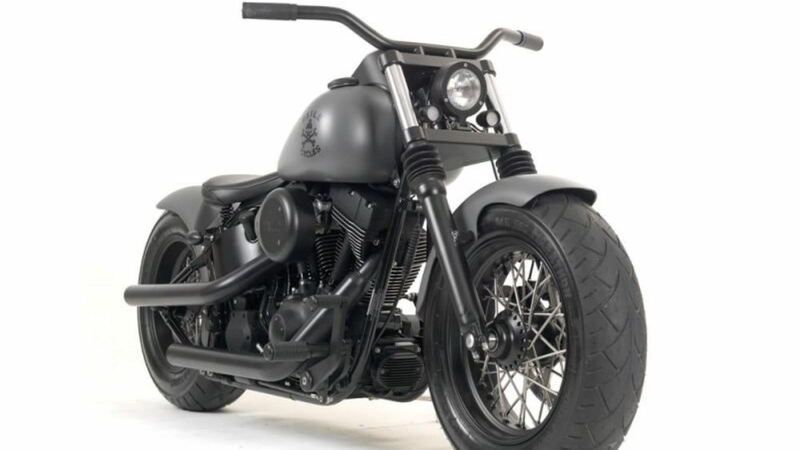 The Softail Bulldozer is a recreation of Exile's own original Bulldozer, but a 2007 Harley-Davidson Softail Standard has been used as the starting point for this bike. With a 230 rear tire and 200 front, the Softail Bulldozer looks like it'd go through anything that stands in its way. 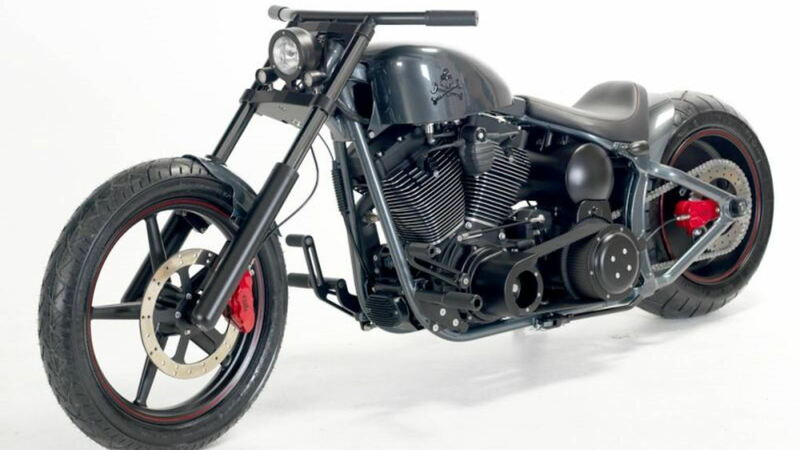 The Softail Bulldozer has more Exile catalog parts than any of the rest of the bikes on this list, which adds up to a total of about $20,000. 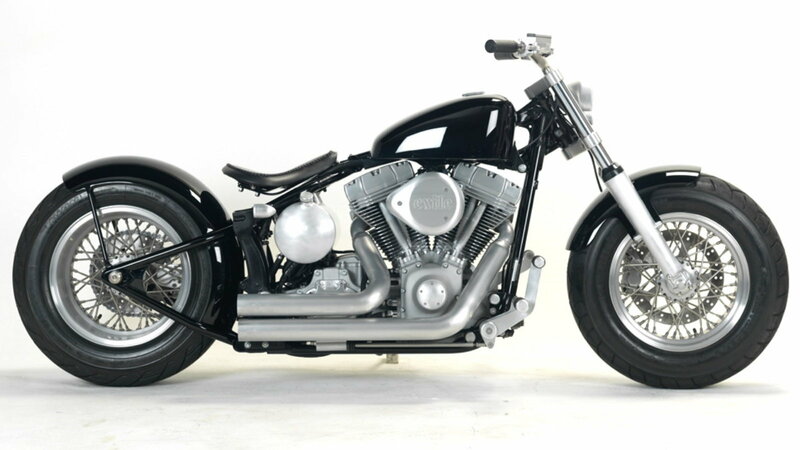 According to Exile, the Sporty Night Train is a "strictly 'bolt-on' project. 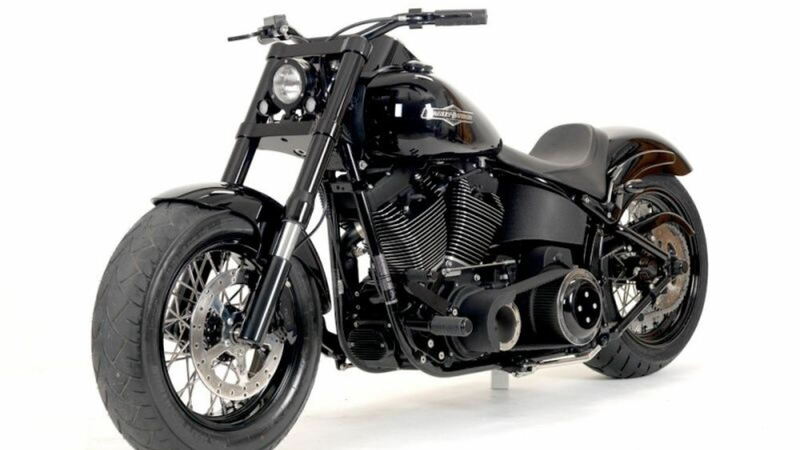 The basis of this bike is a 2009 Harley-Davidson Night Train. The 17x7 rear tire and upside down front forks really give the Sporty Night Train a lot of road presence. All the Exile catalog parts on this beauty amount to around $17,000. Apart from the removal of fender struts, the Standard issue is another 'bolt-on only' bike. Mitchell actually built this one for himself and it shows - the 3D tank graphics, ribbed engine covers, and that fantastic leatherwork set this bike apart. The Standard Issue features around $15,000 worth of Exile parts. Click over to the HDForums' how-to section and catch up on the latest maintenance and DIY tips for your bike.